One hundred years ago today one of the bloodiest battles in history began, with French, British and Commonwealth troops charging across No Man’s Land to attack the Germans. In this blog we look at some of the weapons used in the fierce fighting as the armies looked to break the bloody stalemate of the Somme. 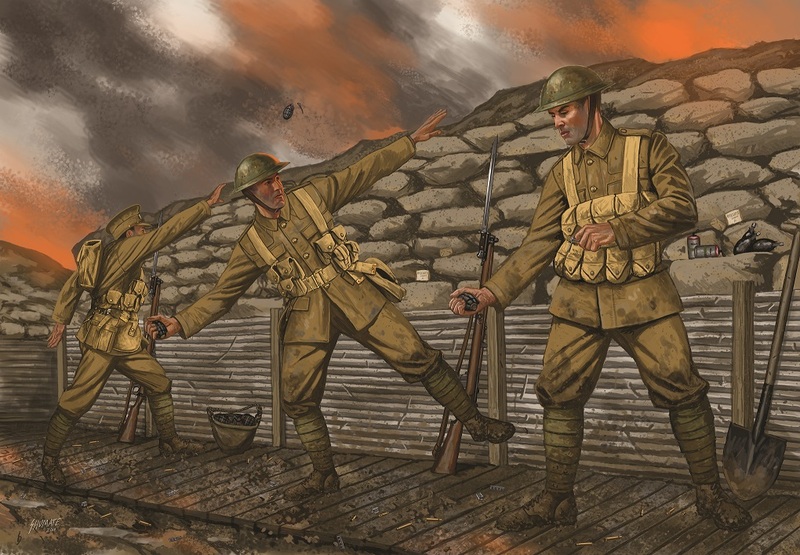 For infantrymen infantryman at the Somme the most common weapon was the rifle. For the British this would in all likelihood mean the .303in Short Magazine Lee Enfield (SMLE), which the BEF fired with such speed and accuracy that one German commander reportedly thought they were armed with machine guns. The majority of German infantry would be armed with the Gew 98 Mauser rifle, one of the most accurate target weapons of the day. For the French the rifle of choice would either be the 1886 Lebel or the 1907 Berthier. To read more about British rifles in World War One pick up a copy of Weapon 17: The Lee-Enfield Rifle by Martin Pegler. 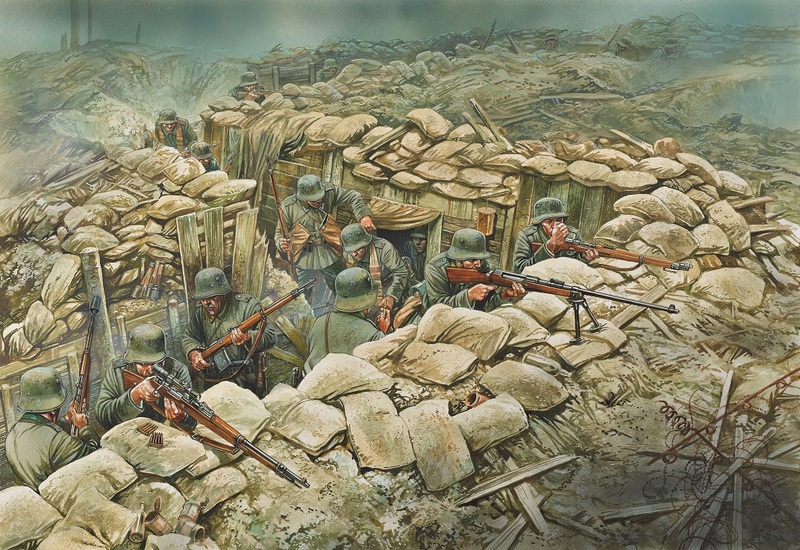 For further information on German rifles, take a look at Weapon 39: Mauser Military Rifles by Neil Grant. Anyone interested in reading about French rifles should take a look at Warrior 134: French Poilu 1914-18 by Ian Sumner. 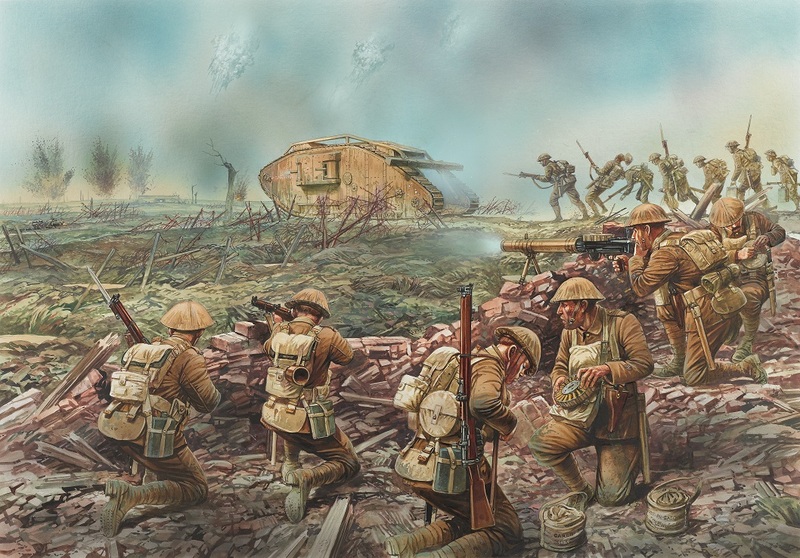 As British and French troops marched across No Man’s Land towards the German trenches, one of the weapons that caused the most devastation was the machine gun. The MG 08 and MG 08/15 were crucial in defending trenches and field works, and inflicted heavy casualties on the advancing French and British troops. The British counterpart to this fearsome weapon was the Lewis Gun, arguably one of the best machine guns of World War I, whilst the French relied on the Chauchat LMG. If you would like to read more about the Lewis gun then grab a copy of Weapon 34: The Lewis Gun by Neil Grant. The MG 08 and MG 08/15 are examined in Weapon 47: German Machine Guns of World War I by Stephen Turnbull, whilst French machine guns are covered in Warrior 134: French Poilu 1914-18 and Men-at-Arms 286: The French Army 1914-18. Another book that may be of interest is Weapon 25: The Vickers-Maxim Machine Gun by Martin Pegler. British, French and German troops all had hand grenades at their disposal throughout World War I, as it was seen as an ideal weapon for trench warfare. Each nation pressed forward with their development of grenades, experimenting with fuse length, percussion detonation and different shapes. At the battle of the Somme grenades would have been used when assaulting trenches as well as when defending from the attackers. To read more about the history of hand grenades take a look at Weapon 38: The Hand Grenade by Gordon L. Rottman. One of the most terrifying weapons used in the battle of the Somme was the flamethrower. The weapon had proven successful for the Germans earlier in the war, and by 1916 it had become an integral part of the German arsenal. However, at the Somme it was in the hands of the British that the flamethrower was most effective. The Livens Large Gallery Flame Projector was a static flamethrower used to spit fire onto German trenches at a ranges of nearly 100m, saturating long stretches of trench line which was subsequently occupied relatively easily by the British troops. If you would like to read more about the flamethrower take a look at Chris McNab’s Weapon 41: The Flamethrower. 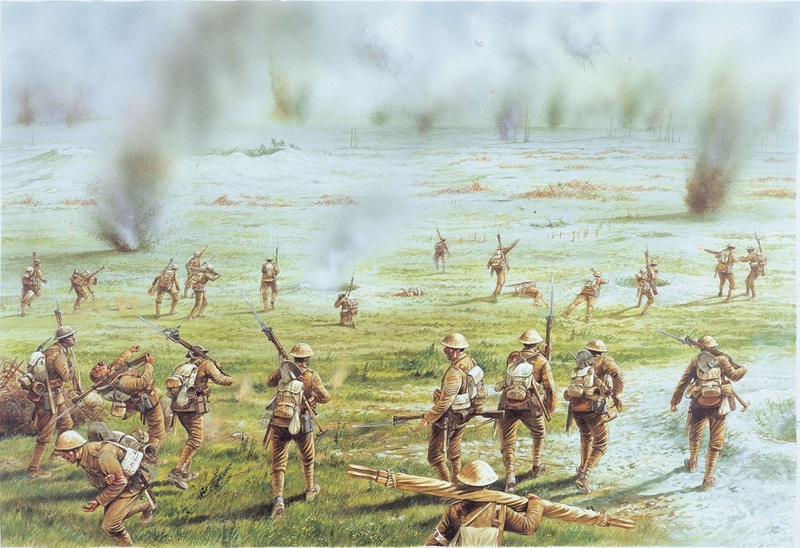 The build up to the battle of the Somme saw the German trenches endure a week-long bombardment, with French and British guns hoping to destroy German defences and shatter their morale. 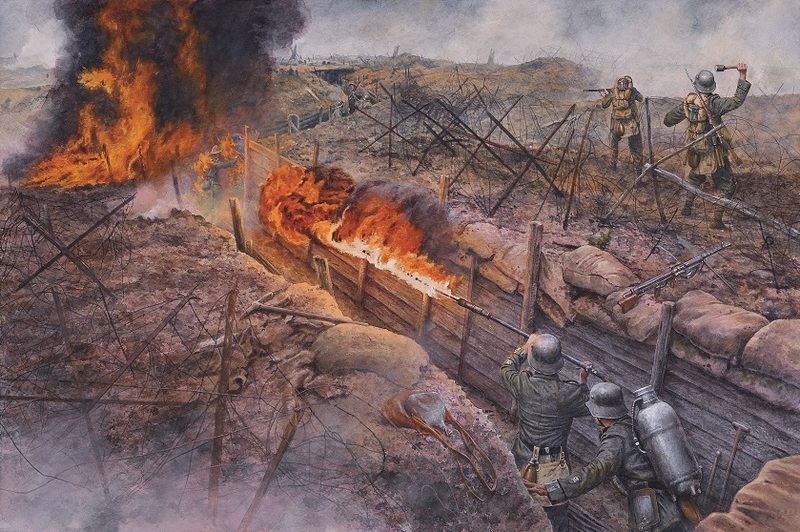 On 1 July when the assault was launched creeping barrages were used to support the British and French troops, whilst the Germans sent shells crashing into No Man’s Land to inflict as many casualties as possible. For a better understanding of the role of artillery in World War I pick up a copy of Elite 199: World War I Battlefield Artillery Tactics by Dale Clarke.